Finn Wolfhard has revealed the younger cast of 'IT: Chapter Two' have wrapped filming. 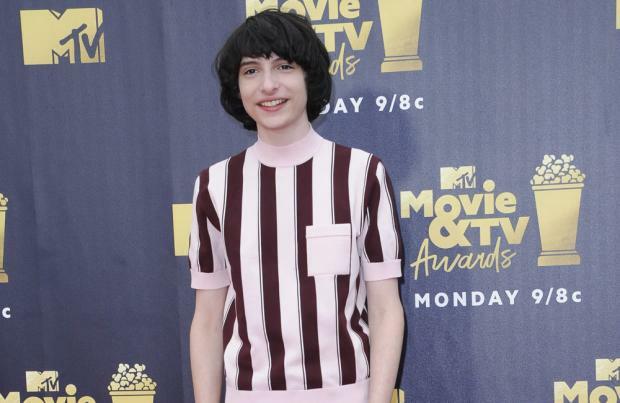 The 15-year-old actor – who is most famous for his role as Mike Wheeler in 'Stranger Things' – starred as Richie Tozier in the 2017 adaptation of the Stephen King horror novel 'IT', and as the cast are set to return for next year's sequel, he has now revealed he has wrapped his scenes. 'IT: Chapter Two' is set 27 years after the first instalment and sees grown-up versions of the Loser Club – which featured characters played by the likes of Finn alongside Sophia Lillis, Jaeden Lieberher, Chosen Jacobs, Jeremy Ray Taylor, Wyatt Oleff, and Jack Dylan Grazer – as they face off against Pennywise the Dancing Clown, played by Bill Skarsgård. The young cast feature in the movie through flashback sequences, which have now all been filmed. From Finn's post, it's unclear whether the whole film has wrapped, or if it's just the young cast. Posting a picture of all the youngsters together, he wrote: "We wrapped. Come see what we helped do in September. + @chosenjacobs @benjperkins @barbaramus @andy_muschietti and all our crew and cast everywhere (sic)"
'IT: Chapter Two' stars James McAvoy as Bill, Bill Hader as Richie, Jessica Chastain as Beverly, James Ransone as Eddie and Andy Bean as Stan, and is set for release in September next year. Meanwhile, screenwriter Gary Dauberman recently revealed the sequel will bring to life some of the book's weirder elements, including the Ritual of Chüd, which is described as a battle of wills in which the murderous clown Pennywise and a member of the Losers Club each extend their tongues, overlap them, bite down, and then exchange jokes until one party laughs. Gary said: "The Ritual of Chüd is challenging, but it's such an important component to the book that we had to address it. That stuff is difficult to balance, but because [director Andy Muschietti, producer Barbara Muschietti and I] worked with each other before, when I'm writing pages and all that stuff it becomes more of a conversation and less like, 'Hey, here's what I did.' It's sort of organic; it's really kind of just chipping away at the stone and trying to find the most focused, accessible way into some of more metaphysical aspects of that book." The Loser's Club are now adults but the creepy clown is back in the second half of the adaptation of Stephen King's novel.